Mr Burt Basingstoke: Communication with Astral PMS from start to finish is excellent. Very happy with the work carried out. Professional service, the engineers and electrician were punctual and very polite. We were kept informed on the process of the work throughout the period. Very high standard of workmanship. Would use again and definitely recommend. Mr Young: Basingstoke: Superb, all worked carried out with great care. Work of the highest standard 10/10. Mrs Heath: Basingstoke: Very many thanks to Mark Fryer and all the men from Astral Property Services who carried out the renovation of our bathroom. The quality is second to none, and we will freely recommend them to everyone and anyone. It is really beautiful, and we will be using Astral in the future. Mrs Mills: Basingstoke: Dear Dean, I want to thank you and your colleagues for my amazing new kitchen The work is of such a high standard with every handle perfectly aligned, ever tile precisely placed, the wonderful lights and plug sockets everywhere and the beautiful sink and taps. I keep discovering new delights behind every cupboard door and I cant begin to tell you what a difference it has made having an eye-level fridge. It really is my dream kitchen and you made it happen. I feel as though I should be doing guided tours. Please thank everyone involved and thank you so much for everything you did. Mrs Thompson: Bramley: Hi Mark, I would just like to bring to your attention how extremely pleased we are with the job your guys have just completed on our downstairs renovation and kitchen. I cannot stress enough how polite, considerate & reliable the team were right from Day 1 and how that eased any anxiety I had about the pending work. I have 3 young children and what could have been a very stressful period was completely eased by their professionalism, work ethic and also cleanliness. Please extend my sincere thanks to Dean - I had utmost faith in him keeping the job under control and his plumbing skills which we definitely needed as the job progressed. Tell him the radiator is perfect:-). Huge thanks to Chris too for his outstanding carpentry skills & genuine hardworking attitude. (I love my bespoke storage cupboard - its perfect). Hugh has done a great job with the plastering and I am completely confident with Martins skills as an experienced electrician. What a pleasant chap:-). Finally our decorating looks great and again Keith is a real genuine asset to your company. My daughter took a shine to him in the end which helped as she can be hard work! Finally I have no hesitation in recommending your company (I have already done so to many people!) and I would be really grateful if you can pass on my sincere thanks to everyone involved, (including Shane & Adi who were again both very polite and hardworking) for the seamless job and my lovely new kitchen! If you ever need a recommendation I am more than happy to provide one. Mr Armstong: Hook: We are very grateful for the work you have completed for us which looks very good and exactly suits what we wanted. FR. Rutledge: Basingstoke: As parish priest I am asked on many occasions to give a reference. On this occasion, I am happy to say that I have no hesitation in recommending Astral as a family company, who have been working for us since 2007, they also work for our school which is located near the church. Whenever we have asked Astral to attend the church site they always arrive on time, are very professional in their manner and offer good sound advice. All the work personnel we have had on site over the years have been very pleasant, hardworking, trustworthy and very willing to help. We have in fact left them with the keys when they have locked up the building Church/Site successfully. I have no hesitation in recommending this company to anyone. Hampshire Police: Winchester: I want to register my complete satisfaction with the work done by your chaps in our Crime Unit. Not only was the workmanship very good but they were always courteous, tidy, noise level kept down, did not infringe upon the remainder of the office, and left the place immaculately clean, We were all very impressed. This is why you were engaged in the first place, as I was impressed with the work you did at our Scenes of Crime office. Mr Leach: Riseley: Clean and professional tradesmen, Very tidy work, well satisfied with install. Mrs Lyons: Basingstoke: Thanks for responding so quickly and efficiently to my call today when our storage tank seized up. The lady I spoke to in the office was super nice - told me how much the call would cost and promised someone would be with us about midday, Engineer arrived at 11:30ish checked the problem, replaced the valve and (apart from having a fast filling tank now) we would not have known he had been. Congratulations to all involved for such a great service. Mr & Mrs Annette: Ellisfield: We would like to thank the team who installed the shower it has made such a difference to us. A special thank you to all involved for all their hard work. It was a pleasure to meet the men, everyone showing respect to a pair of old codgers. Rae thanks most sincerely your men for the lovely flowers. It was so kind and generous, a lovely surprise. Many thanks once again to everyone. The shower is great; we are so pleased with it. Best wishes. Hampshire Police: Aldershot: Just a quick thank you for all your help throughout the year we could not have managed without all of you. It has been a pleasure as always and your good humour has always left us with a smile at the other end of the phone. Head Master Binfields Primary: I am very pleased with your tradesman and with the work carried out. He is a real asset to your company. I will certainly be recommending your company. Philip: Binfield: From the very first contact with astral and up till the last person that visited my home I have nothing but praise for your operation. The professional standards to which you apply to your organisation are second to none and would clearly put others to shame. Astral are a company that is quite rare in this day and age and I felt it necessary to highlight the benefits of your investment in people and quality. Mr & Mrs Foreman: Basingstoke: The work you recently completed in our ensuite bathroom was all of a very high standard, and we are really very pleased with the final result. All of the various tradesmen that worked here treated our property with utmost respect, were very pleasant to deal with, and very good fun too making the whole thing as pleasant as having your home invaded could possibly be. All your colleagues are to be thanked as much for their ideas and input as much as for their workmanship. You may have heard that your tiler, or lightening as we call him, broke all records for speed. Mr Hyder Hook: The plumbers arrived at the appointment time, were polite and personable. I was happy and confident to leave them to work in the house. They fixed a problem with the boiler whilst servicing it, took the extra time to adjust pressure on central heating system. Carried out work efficiently and cleaned up the work area. They were very thorough, checking flue pipe in the loft space, which hadn't been done on previous boiler services with other companies. I wouldn't hesitate using them again and would recommend to others. Mrs Saltiel: Liphook: I am writing on behalf of myself and other residents. We wanted to say how delighted we are with our bathrooms and they are so lovely and at last have brought our flats into the 21st century. We also want to say what a pleasure it has been that the team you have had working here have really been so pleasant to have around. They have all without exception been happy, cheerful, polite and so helpful, I can’t think of anymore adjectives to say about them all. You must give yourself a pat on the back for bringing together such a really efficient team. Please pass on our good wishes to them and say a big big thank you. Mr & Mrs Olding: Basingstoke: We were very impressed by his friendliness and expertise and the way he explained the plumbing system to us so we could understand. If we need anything else done we will certainly use your firm We wish you well. 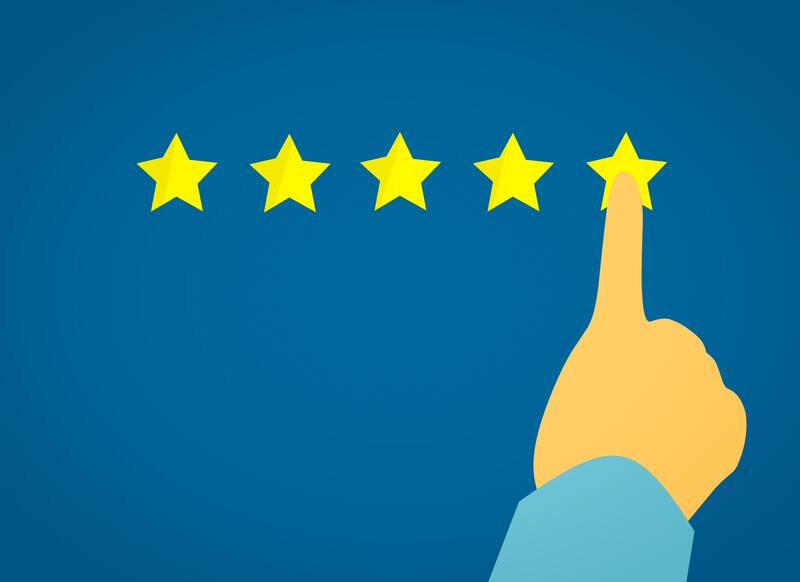 Mr Bayfield: Virgina Water: I am writing to express our great appreciation for the professionalism, high standards, hard work and positive attitude and conscientiousness of all your team who attended our property recently in connection with repairing our flat roof and decorating the inside. My Mother and myself were delighted at the dedication and hard work (cheerfulness) of all your team and in particular the young man who came last of all to paint and decorate the room. We are truly pleased with the work and wish to thank you all involved. We are very pleased we selected your company for the work and wish you all truly good wishes. I have kept your business card for reference. Mrs Kelly: Basingstoke: I would just like to say thank you so much for sending someone out so quickly. The gas engineer was wonderful, diagnosed the problem with my boiler and rectified very quickly. Mrs Mason: Basingstoke: You have recently handled my insurance claim for water damage, many thanks. I would like to say that the decorator and the plasterer who carried out the work, did an excellent job, Pleased, very much so. Mrs Jones: Headley: We would just like to say that we are very pleased with work that you carried out. Very Very good job done, they left the property clean and tidy at all times. Mr Owen: Farnborough: Now that work at my house is completed, I wanted to record my thanks to your company for the excellent job they did installing an ensuite to the master bedroom. You will be aware that the work was completed during our recent two week holiday. Every aspect of the project was first class, from the initial planning visit by Dean to the outstanding work by the rest of the team. The complex electrical and plumbing work was carried out efficiently, I was particularly impressed with the care your team took to protect the property while work was in progress and the tidy condition it was left in. I was also pleased with the response to the minor plumbing and other adjustments required and the final inspection. Please pass on my thanks to all those involved for a job well done. I will not hesitate in recommending your company to others. Once again many thanks. Mrs Ward: Basing: We would just like to say that we are very pleased with the shower installation and we think the tiler did a fantastic job. Mr Jeffrey: Basingstoke: I would like to thank you for your help and assistance in the smooth running of the fitting of my disabled shower. Also would you pass on a big thank you to your employees for their professional help and assistance in their time in the property also their work was second to none. Once again thank you. Mr Thomas: Basingstoke: I would like to express my appreciation for the manner in which the job was handled. Your response was prompt and throughout I was impressed by the performance, both engineers arrived within ten minutes of the initial time given to me by the office staff and between them sorted out the problem again within the hour. service such as this is rarely provided in my experience these days and you all deserve a mention in dispatched. Thanks again I shall know where to come in the future and sure to recommend to others. Mrs Dodd: Newbury: Having just had work completed by tradesmen I felt I must take time to contact you and tell you what fantastic representatives of your company they are. Their standard of work and tidiness was the best I have seen by tradesmen and their courteous & friendly manner was exceptional. Mrs Martin: Aldermaston: I would like to say a very big thank you to the carpenter and plumber for all their hard work. They never let anything beat them no matter how bad things got. No matter what was thrown at them they stayed cheery, focused and professional at all times. The weather was hot the first three days and in a small bathroom like mine that could not of been easy. I would also like to thank the gas engineer who came on Friday who again was very focused on the job at hand. All in all I would say it was a pleasure to have them in my home and would without question recommend your company to anyone who asked. Mr Langhorn: Woking: Just a line to say thanks to all your staff for a superb job of restoring my lounge back to its former glory, truly professional people, clean tidy polite and friendly working atmosphere. Would you be so kind to pass on my comments to those who worked in my house. Mr Drew: Basingstoke: I thought I would just send you a quick E-mail about the repairs to my property. Your two tradesmen arrived promptly on both days and carried out the necessary repair etc to an extremely high standard. They both worked extremely hard getting the job done and were friendly and courteous. My thanks to your company for an excellent job done and if you have a bonus scheme make sure they are both well rewarded. Many thanks. Mr Biles: Basingstoke: Thank you for the work you have carried out installing our new bathroom suite. We are really pleased with the work the plumber done in installing the suite. He has done a superb job and Astral will be thoroughly recommended by us should we hear anyone looking for similar building works to be done. Hanover Housing: Yateley: Just putting into writing my thanks for the two young chaps who have been working here over the last two days rerouting the gas supply. They were very polite, tidy and hard working. They tackled a very difficult job, without moaning and barely stopped for a break the whole time. Please pass on my thanks. Mrs Burridge: Alton: I called your guys out to unblock the drains here, Just wanted to say they were brilliant. One of the manholes had a portable toilet on it that they had to move first. Hero’s. Please will you say a really big thank you for me. Mrs Tigwell: Basingstoke: I would like to thank the company director who was very helpful and all the staff who worked on my kitchen and papered and painted the side of the stairs. I wish your company well and I have also written to my insurance company about your good work and hope they use you for all future problems with insurance. Mr Moore: Basingstoke: I felt that I just had to put pen to paper to say what a great job Chris, the Carpenter, did on the doors and cupboards in our house. It was not an easy task at times but he got on and did a wonderful job. Nothing was too much trouble for him and kept us informed at all times. His time keeping was impeccable and he cleared up at the end of each day. He was neatly dressed and had a very pleasant manner. Mr Doyle: Bray: Would just like to sincerely thank the plumber for all his hard work yesterday with the exploded macerator, it was a complete mess he did a fantastic job.